Ian Rappaport is reporting that Kansas City Chiefs center Mitch Morse is likely to miss time with a foot sprain. 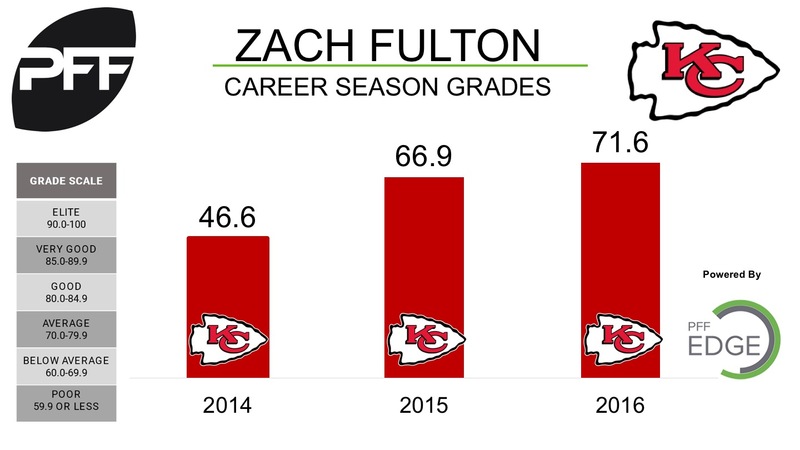 It appears that veteran Zach Fulton will replace Morse in the Chiefs lineup. Fulton played seven snaps in Morse’s stead on Sunday, and has been the Chiefs’ preferred interior fill in during the course of his career, playing 857, 564 and 1021 snaps in since being drafted in the sixth-round in 2014, respectively. The Chiefs have been solid up front so far this season, with a pass blocking efficiency of 81.8 that ranks ninth in the league through two weeks. Alex Smith has the highest passer rating when kept clean (138.4) through that same time.